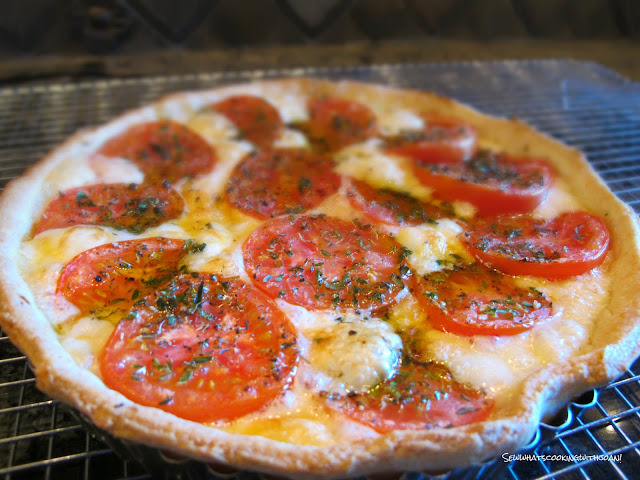 This tomato and cheese tart was incredibly simple to make, and it tasted so fresh! When I first told Wee Bear I was making a tomato tart, he gave me a funny look and said: “That doesn’t sound very good.” But when this came out of the oven, he was singing a different tune. It was more along the lines of “That smells amazing.” And the morning after the dinner? 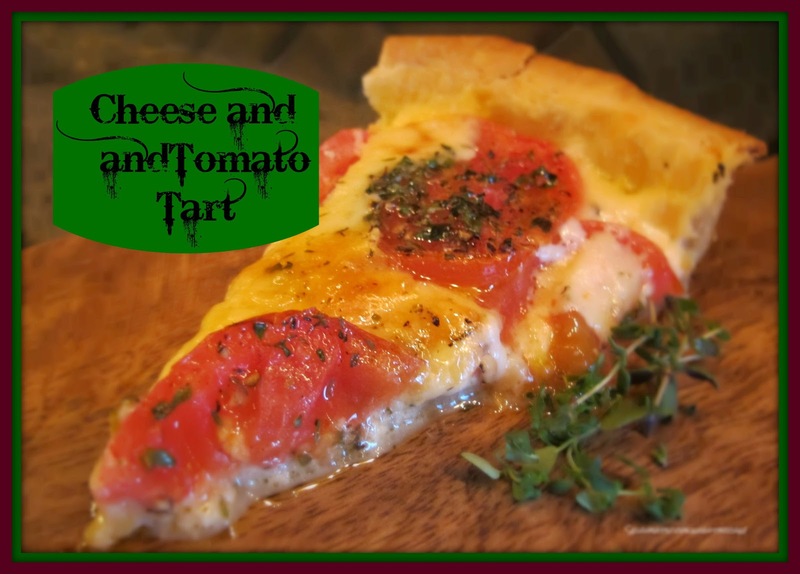 I believe the words that came out of his mouth were: “Where is the left over tart from last night?” Suffice to say, this recipe is a winner – cheesy pastry, melty cheese, and warm summer tomatoes – you can’t beat it! I have never had a element burn out on any oven, my entire life!!....... Now, my close friends will say, "That's because you haven't stayed in any house long enough!" And, that may be true! Continuing the story, six days before I was preparing Easter dinner for friends, my lower oven quit! I called the repair man, he found that not only was the lower oven not working, but, the upper oven element was burned out in the middle!! This is a new Wolf oven! The repair man couldn't fix it until......the day after my Easter dinner! Rather than cancel the dinner, I took this as a new challenge. Much like I did when we showed up to our new home in Cabo San Lucas, a few years ago, two days before Christmas and the cook top/oven had not been installed yet, and I was hosting Christmas dinner for my parents! Ooops! No problem, my step Dad and I did prime rib, twice baked potatoes, green beans and Yorkshire pudding on the barbeque with a side burner!! So, life challenges us in many ways, this was a small challenge, but, none the less a challenge. I thought this through, and knew I had the barbeque as a backup, but, I also knew I had a convection option on my oven. My upper oven was operational, but severely handicapped! 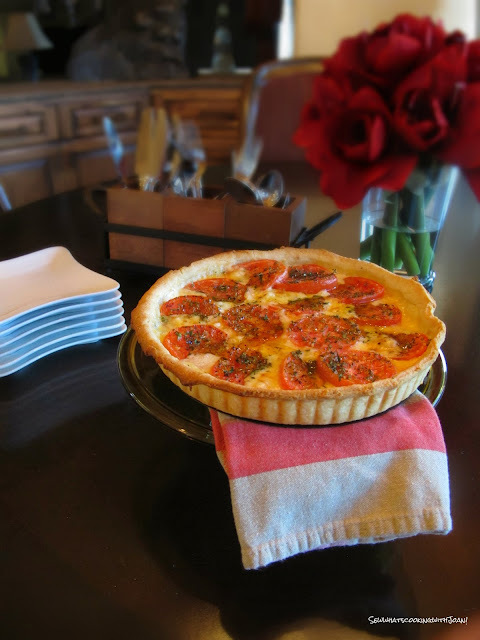 I baked this tart using the "convection bake" option.....perfect! The heat is distributed evenly because of the fans. I then proceeded to roast my stuffed cornish game hens and my friend Ruth baked her bacon wrapped asparagus in the "convection roast" option......dinner perfect! Disaster averted! Combine, flour, butter, Parmesan cheese, and salt in processor. 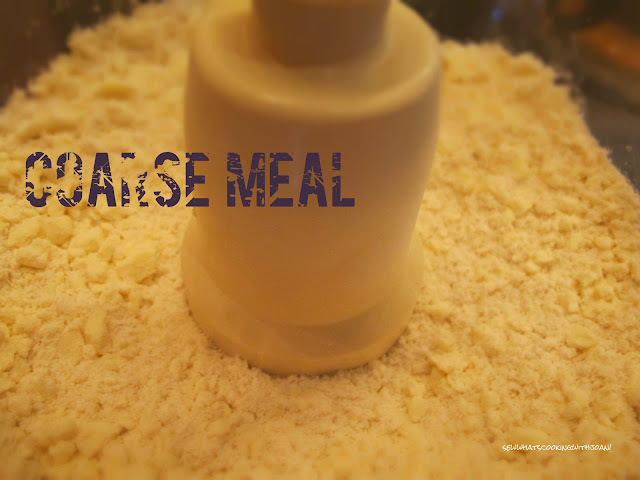 Pulse to blend until mixture resembles coarse meal. Beat egg and 2 teaspoons ice water in a small bowl to blend; add to dry ingredients. 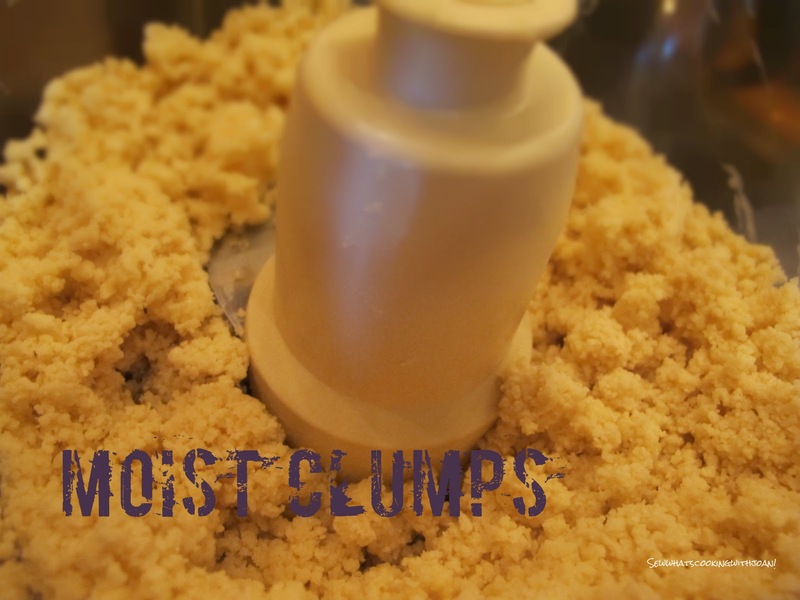 Using on/off turns, blend until dough comes together in moist clumps, adding more ice water if necessary. Gather dough into a ball and refrigerate for an hour or overnight. Preheat the oven to 400 F. Roll out dough on lightly floured surface to 13" round. 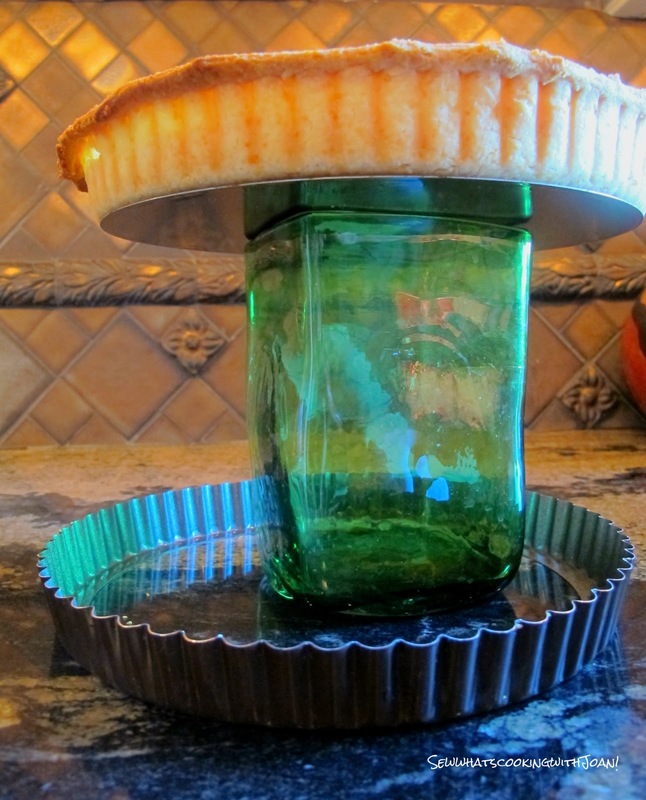 Transfer dough to a 9 inch diameter tart pan with a removable bottom. Trim the excess dough roughly with a knife about 1/3" above the rim, don't fold, just leave it for a rustic look! Spread the mustard evenly over the bottom of the crust. Toss the Fontina and cheddar cheese in a bowl and spread over the mustard. 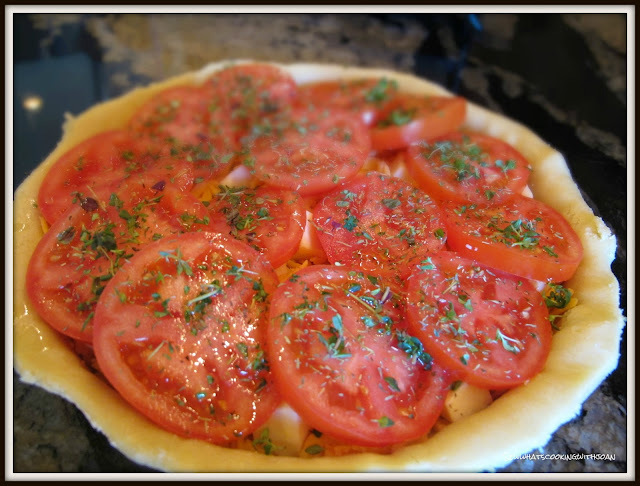 Arrange the tomatoes, slightly overlapping, in 2 concentric circles atop the cheese. Drizzle the tomatoes with olive oil; sprinkle with thyme and lightly salt and pepper. Bake the tart until the crust is deep brown, cheese are melted and tomatoes are slightly charred and soft, about 45 minutes conventional oven, 20-25 in a convection oven. 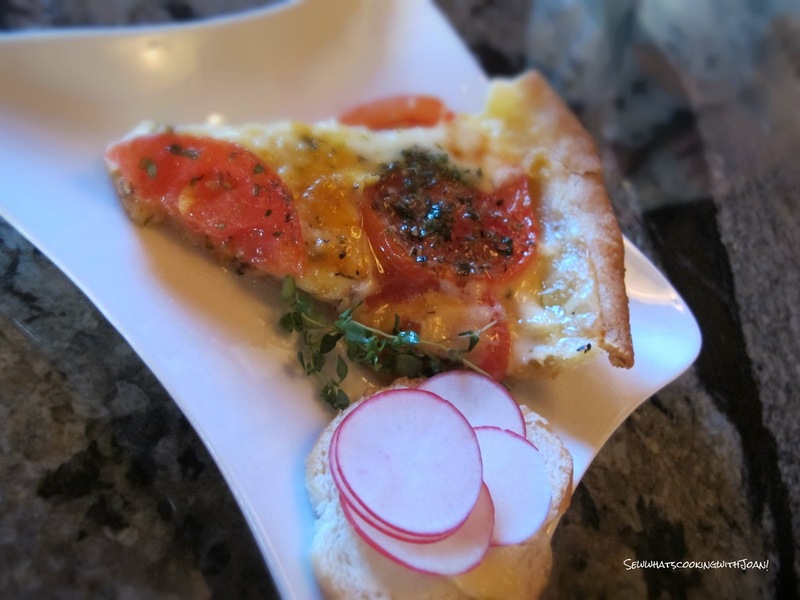 This beautiful tart made in a oven with half the element burned out, but, using convection option! 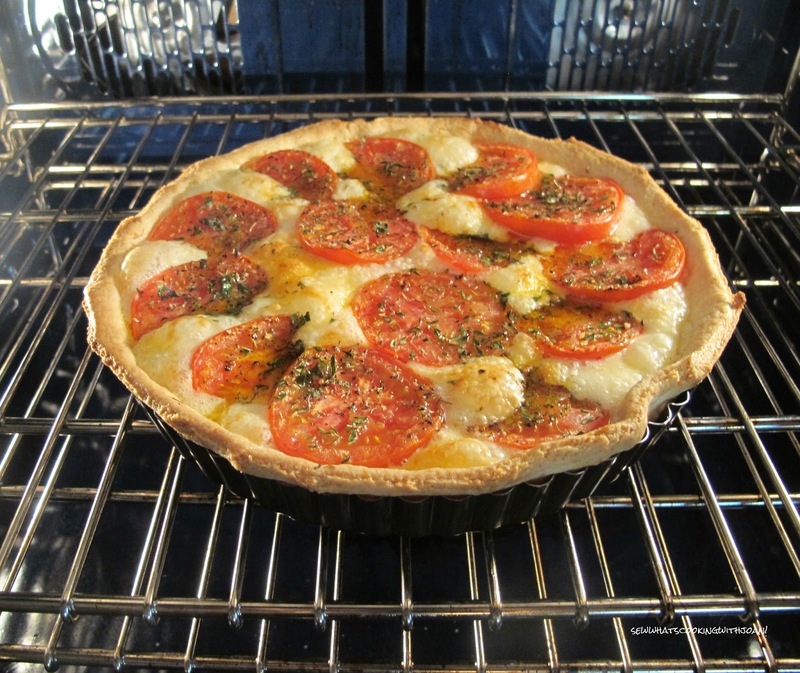 Let the tart stand until the cheese sets up slightly, about 30 minutes. Use a glass or vase to push pan bottom off, releasing tart. Cut into wedges and serve! YUM! 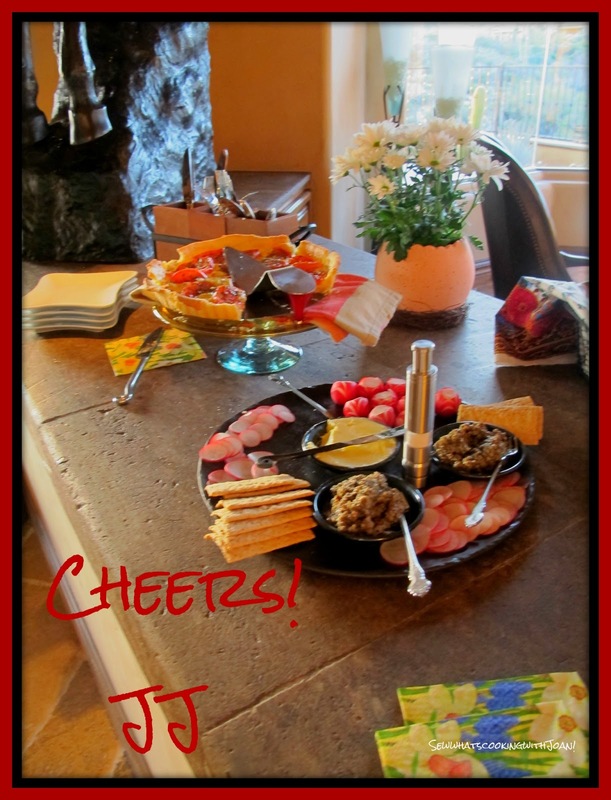 This was delicious and perfect to accompany our wine. *Other options for cheese include the Petit Basque, Truffle infused cheese or a Sheep milk cheese such as Caciocavallo or Pecorino. The day after Easter......oven repaired! The bad news over $2500.00 in repairs, the good news~ it was mostly under warranty!! We are doing the happy dance! 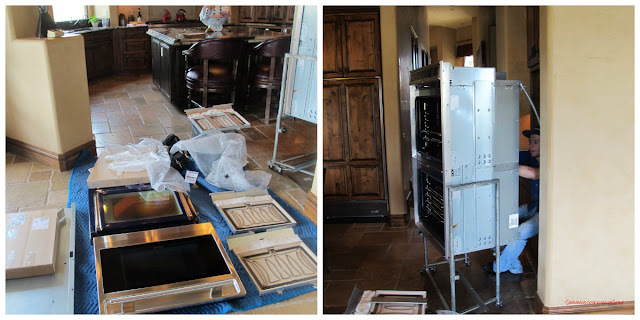 Our technician Jerret of Tri-City Appliance in Phoenix, Arizona, was awesome, and very helpful, giving me information on my Wolf ovens that I did not know.